Six Purses, ready for the Sew It Together swap! 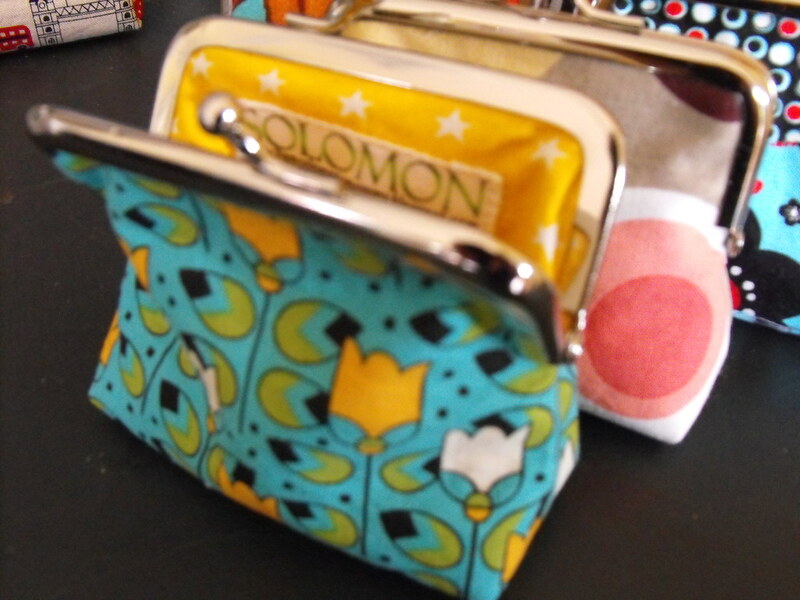 I think that makes 11 of these 90mm purses I have made from Nikki's pattern now. 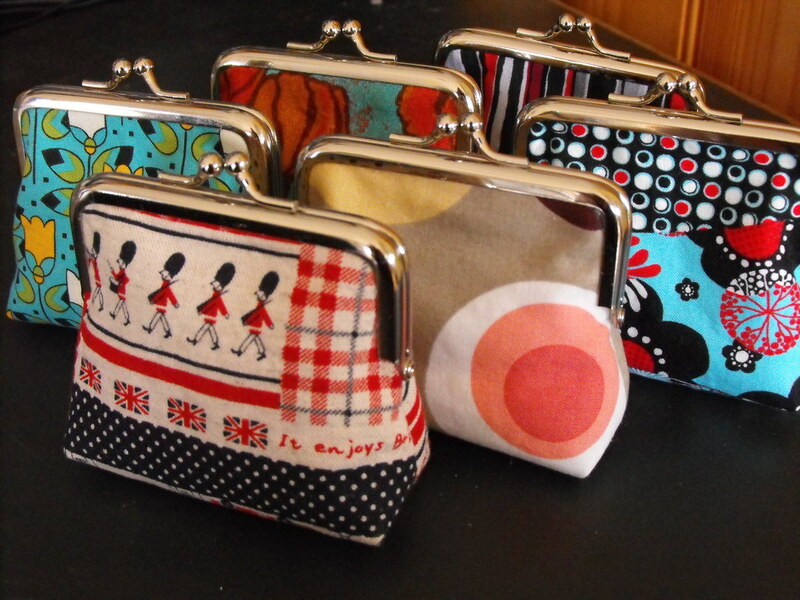 The one at the front is my favourite, I love the "Let's Enjoy Britain" fabric. I got a couple of little bonus pieces thrown in from Retro Mummy when I ordered some fabric. I have some more, I might have to make another one, since I am giving this one away. 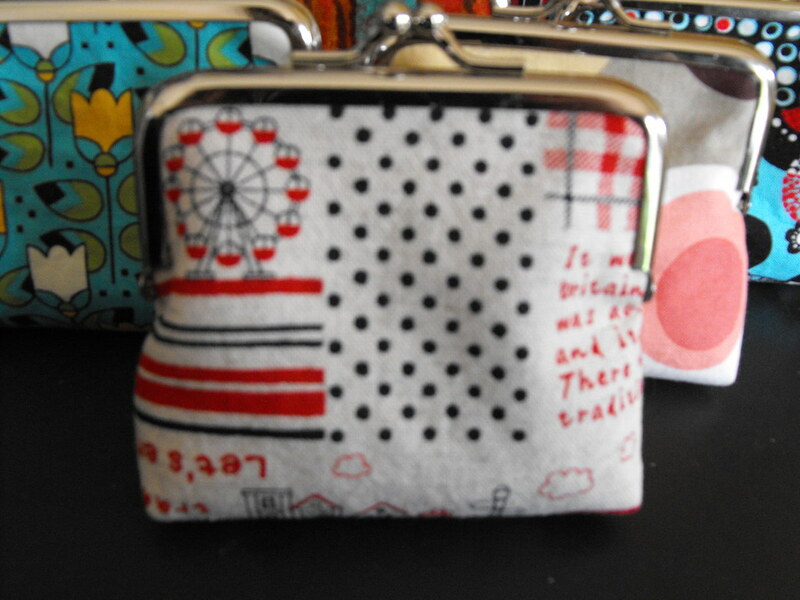 Here is the other side, I had to make sure there was a ferris wheel on it somewhere! I love the sunny yellow lining on this purse. This also means that I completed the "My Favourite" challenge for April - Make something lined. WOW!!! Beautiful purses. You really are so talented. Now a message to Cass - put me in this group!!!! Please!!! You put me to shame Carmel - I haven't even started making mine yet. Your swapees are going to love them. I love them! I am sure the recipients will love them too. I want in this group too!! !